Please visit country page to register and scan for regional vacancies. Release your Japanese speaking ability, explore a new career path with us. 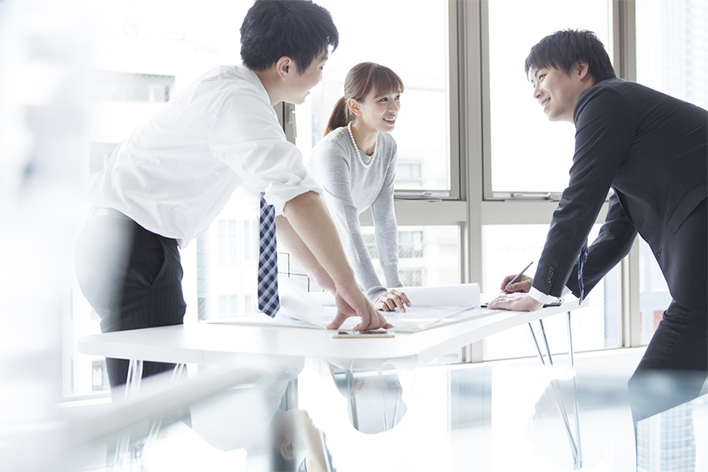 Japanese companies are known for their on-the-job training and lifelong employment. It’s a long-term ROI (return on investment) for your language learning, which you benefit much more than reward of language convenience. The whole career will be very clear and specified individually. Given their unique culture and powerful economy, you might be dazzled when you start off looking for a job in Japanese firms. But don’t be panic, let us take you to find out what career opportunities lie ahead of you! What can Japanese speaking people do? Once you learned a foreign language, it helps you open a great many doors. First comes to our minds might be foreign trade dealers. With the booming economy of Japan, Japanese multinational companies are expanding their business around Southeast Asia regions and localizing their staffs. There are many other kinds of jobs that you can pick up from as a Japanese speaker. For instance, interpreter, tour guide, guiding Japanese people when they come to visit your hometown or guiding your friends while they are sightseeing around Japan; language teacher, you might teach part time, or as a Japanese professor in universities, etc.. Besides above options, you will find yourself capable of working in many Japanese multinational companies that are well-reputed worldwide. There are various aims of Japanese learning, such as learning it for leisure, for sightseeing around Japan. Once you learned Japanese, you’re also equipped with the skill to work in a Japanese-speaking environment. First of all, you will be working in an environment where staff are well-mannered, organized and often with positive work ethics. Secondly, you will be self-promoted with hard working people by your side. Most of Japanese people set limits for themselves and stick to them. Since many Japanese companies offering lifelong career, they will offer job training and education projects to their staffs. Joining these will help you upgrade skills and expand horizon which will benefit you a lot. The quite working environment and open office layout are also the reasons why people would like to work in a Japanese speaking environment. Japanese speaking positions and salaries across seven countries. More and more Japanese speaking job opportunities! Make the most of your Japanese skills!